In the previous post the important role that art has played as a mechanism to rethink the way cities have been planned was discussed. The Puckelboll project in Malmö, Sweden’s third largest city was introduced as a case study in order to illustrate the impacts of artistic approaches in urban transformations. In this post, the second part of the interview conducted with Johan Ström, the mind behind the Puckelboll project, is presented. Marcela Pizano (MP): I have been told that this project stimulated cooperation and communication between different community groups. Could you tell us more about this process? 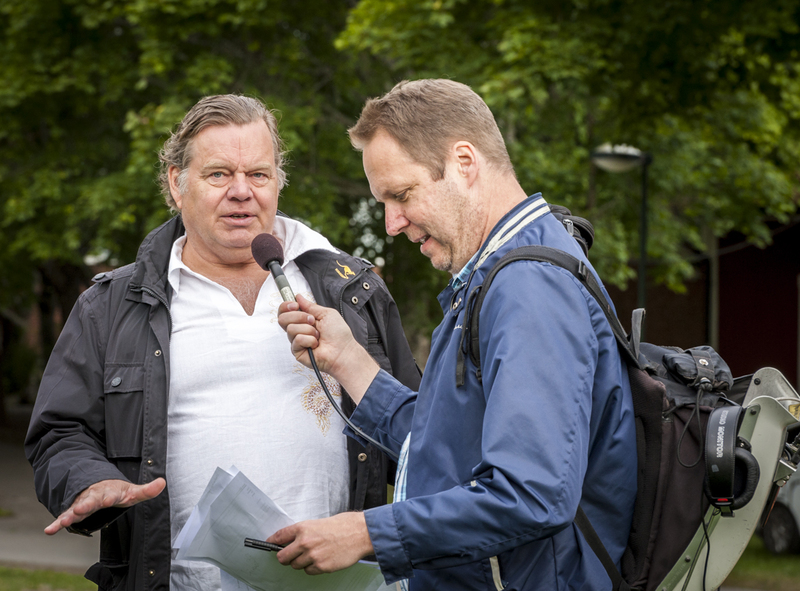 Johan Ström (JS): This project has definitely stimulated communication and cooperation processes between different groups in the area, and it has also motivated a cooperation process among neighbors, the City Hall, and other people involved in the project, like me. This interaction started from the very beginning of the planning stage. 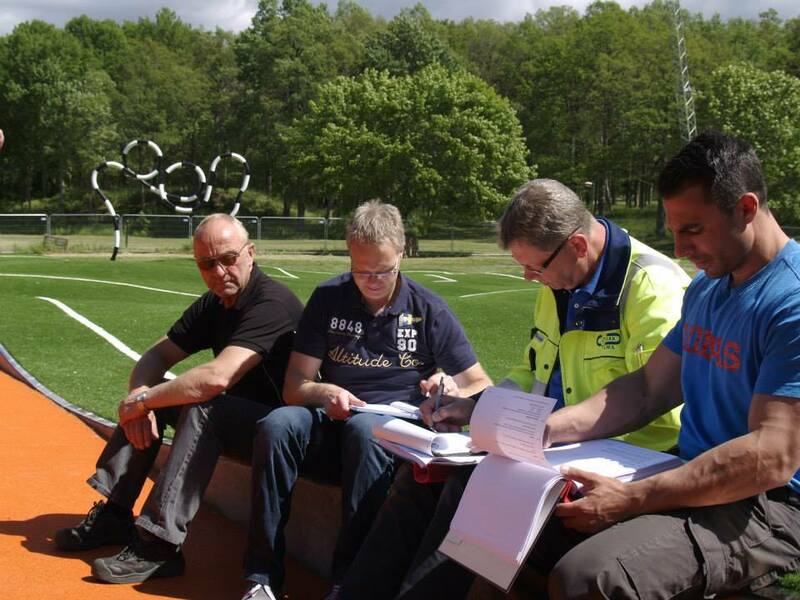 Different meetings took place to share information about the Puckelboll field, before and during the construction process. Neighbors actively participated in these meetings and had the opportunity to learn about the project, the designs, and the advantages of having this innovative sport amenity in the area. The meetings provided a space in which people could meet their neighbors and learn about their needs. It was a space in which everyone’s voice could be heard, a space that boosted the emergence of new relationships that are still alive today. People from this area had the opportunity to meet and see each other during the time the project was planned and built. The area went through a natural community building process which has been one of the most interesting outcomes of this project. The Puckelboll field has also drawn attention from other areas since new visitors are coming to make use of this public amenity. It has also stimulated other types of escalating cooperation processes since other cities, such as Stockholm and Minnesota (USA), have expressed their interest in the Puckelboll philosophy. MP: What kind of social bounds did you expect to emerge with the project? JS: Since this was the first time this kind of artistic approach was tested in this area, it was puzzling to predict what kind of new social ties would emerge, if at all. There was a sense of nervousness about how the community would perceive the project and if it would actually meet the expectations of the communities involved. The Puckelboll ended up being a success among the dwellers of this area and, as I mentioned before, it has helped to bridge the gap between the communities around the park. People reacted positively to the Puckelboll. The project has been embraced enthusiastically from the very moment it was opened to the public. It is important to highlight that the project and the space for interaction it has promoted, has not only reduced the social gap between the two communities, but it has also motivated new discussions. For example, both men and women want to make use of this space, so the community has to consider gender issues that were probably not considered before. MP: What was the biggest challenge during the negotiation and implementation of the project? JS: In the early stages of the project, a big challenge was faced: Introducing the new artistic and interactive idea to the residents. However, people in Malmö are visionary, which was a tremendous help to share the plan that the municipality had to reactivate this area. 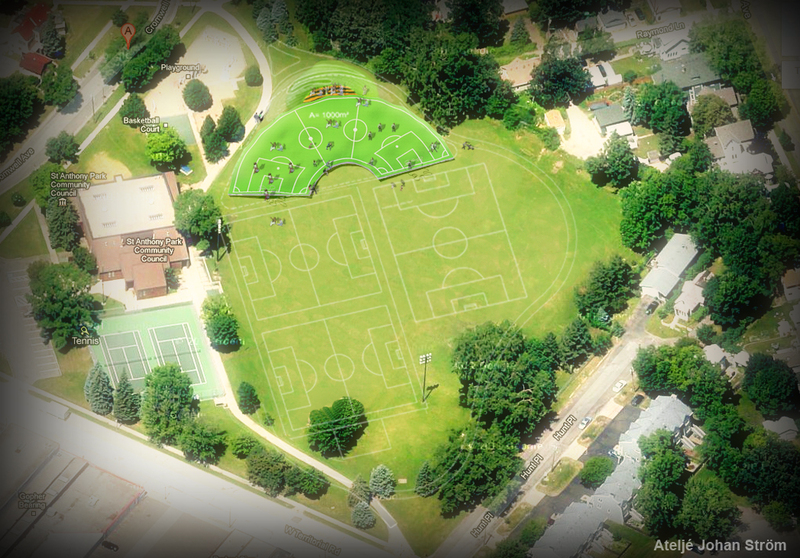 It is not an easy task to explain why the Puckelboll field was asymmetrical and had an uneven surface, and what the purpose with this artistic space was. Something that really helped to face this challenge was the construction of a scale model of the project so that people could interact with the idea and understand it. The assistance of designers, landscape architects and city planners also helped to support the idea and to overcome all the obstacles the project faced during the socialization and implementation processes. MP: The need to work with interdisciplinary groups to acquire a deeper understanding of crucial social and urban conditions regardless of the area of study/transformation/development is becoming more evident every day. Through this project, the important role of art as a tool to achieve social and urban transformations is highlighted. In your view, how does your profession complement urban planning and the decision-making process? JS: Previously, there was no inclusion of artists in early stages of urban projects in Sweden. The normal process, when designing an urban space, was to entrust architects, landscape experts and engineers with the task of making a preliminary sketch of the project. Afterwards – and this was not always the case – artists were invited to add more elements to the project. Sort of like when you add cream on a cake. The Puckelboll project is not yet an example of the ordinary process when transforming an urban space, but an exception. From my point of view and experience, working on early stages together with a multidisciplinary group, as we did in Malmö, has more interesting, attractive and effective results for city life. Many interesting cases of urban transformations are taking place around the world, which have come up as initiatives from people than has never worked as architects or engineers. Therefore, it is time to undermine the idea of urban transformations as a responsibility that only belongs to the public sector. It has been demonstrated that we can all contribute to reactivate our cities regardless of our background or beliefs. 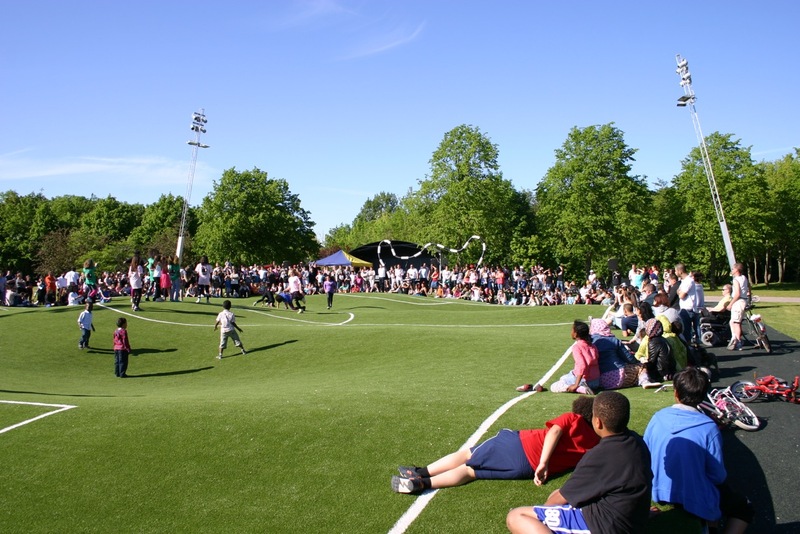 MP: The Puckelboll field project has been very popular in Sweden. Now you are in the process of exporting the Puckelboll project to other cities like Saint Paul, in Minnesota. How has the process of implementing this project overseas been? How have the government and the involved communities reacted to it? Do you think it is possible to implement the project as it was built in Sweden or do you think it is necessary to adapt it to local conditions? The implementation and design of the project in Saint Paul has undergone some changes according to local physical conditions and regulations. However, the main difference when implementing the Puckelboll in Sweden and the United States is that in Sweden, the initiative came from the public sector (i.e. Malmö’s administration). In Saint Paul, it was a bottom-up initiative that came from a local organization, which reinforces the idea of urban transformations as everyone’s responsibility. Since it is an ongoing project that will be taken further this year, local reactions towards this concept are still uncertainties for the time being. 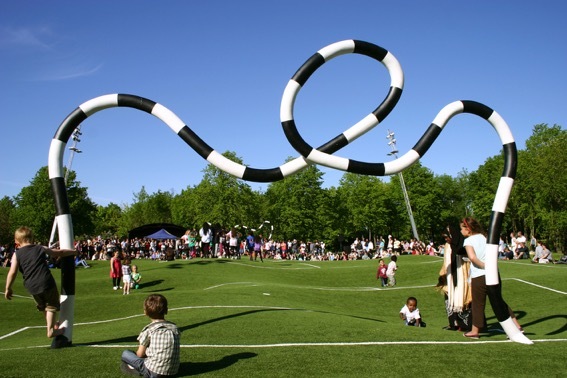 The Puckelboll field has been the result of an experiment to better understand how people make sense of their encounters with art and the integration it creates when designing public spaces. Therefore, the role that art has played in this project as a form of social integration is very interesting from numerous perspectives. From the citizen perspective, this artistic intervention serves as a platform for planned and spontaneous events and activities in which everyone has the opportunity to create new rules, and experience space in different ways. It also helps to create an innovative environment that promotes social interaction and new relationships. From the perspective of the municipality, this artistic project helped to introduce a new way of transforming the city through a more inclusive and multidisciplinary process. It has also helped to draw attention from their citizens and the media, which in turn has helped to build a sense of belonging and position Malmö as an innovative city. Ultimately, what makes this new urban space more interesting and attractive is the freedom it gives to raise questions about the rules governing urban spaces and the possibility to create new ones. It is a space that challenges our imagination and invites us to think of how to play, both as players and as citizens.